1: What is Jacob Sartorius famous on? 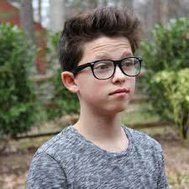 2: Is Jacob Sartorius cute? 3: Do you follow him on each social media? 4: How old is he? 5: When is his Birthday?